While your partner probably claims that size doesn’t matter, it’s safe to say, in terms of bathtubs, size is definitely the deciding factor. This does not apply solely on the size of the tub itself, but the overall size of the bathroom as well. Who wouldn’t love a humongous bathtub to unwind and relax after a long a tiresome day? Of course, if your bathroom area is not spacious enough, you just might need to adapt to a smaller-sized tub. The best solution is to measure your bathroom size and choose the tub accordingly, as you also want to leave some room for other installations, decorations and furniture. 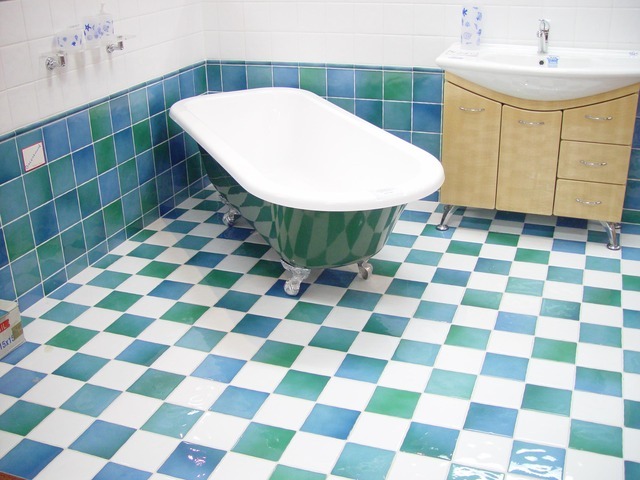 Another important factor to consider when choosing the right tub is the choice of the material. There’s a wide range of available options which you can choose from, but your final decision is going to be determined by two deciding factors: your price range and your style preference. For those on a tight budget, acrylic and fiberglass tubs are by far the best option as they are the most affordable and come in variety of different colours and textures. If you’re looking for something durable, then cast iron is the choice for you. You can always opt for more refined (and pricier) options like stone, marble or even wooden bathtubs. Last, but certainly not least, choosing the right type of tub. This step is definitely the most difficult one, as there is no perfect solution and the right type depends solely on your personal style and preference. For instance, if you are looking to maximize the space in your bathroom and are not looking for something out-of-the-ordinary, then a standard 3-wall alcove bath is the best choice. Of course, if you wish to achieve that modern look, then perhaps an under-mount tub would be more to your liking or maybe even a luxurious freestanding bath as well. For those who are striving to create that sophisticated vibe of the Elizabethan era, a claw-foot bathtub will give the best impression of that golden age. Once you have finally decided on the best choice of tub, it is time to consider some additional upgrades. If a regular tub just doesn’t do it for you, do not hesitate to opt for some features that can transform your bathroom into a true spa resort. From underwater LED lights that change colour, jets and bubbles up to water heaters and music speakers, there is an array of options from which you can choose in order to create a soothing atmosphere right there in your home. There is nothing more rewarding then ending your day by stepping into your own personal sanctuary of peace and indulging in a warm bubble bath, soothing sounds of music and the captivating smell of scented candles. Once you create your own paradise haven, you will no longer have a desire to escape anywhere else.